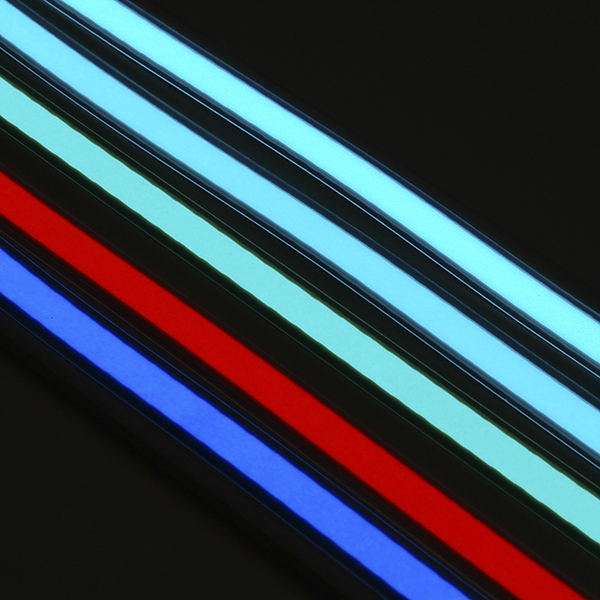 Who doesn't love the soft glow of electroluminescence? 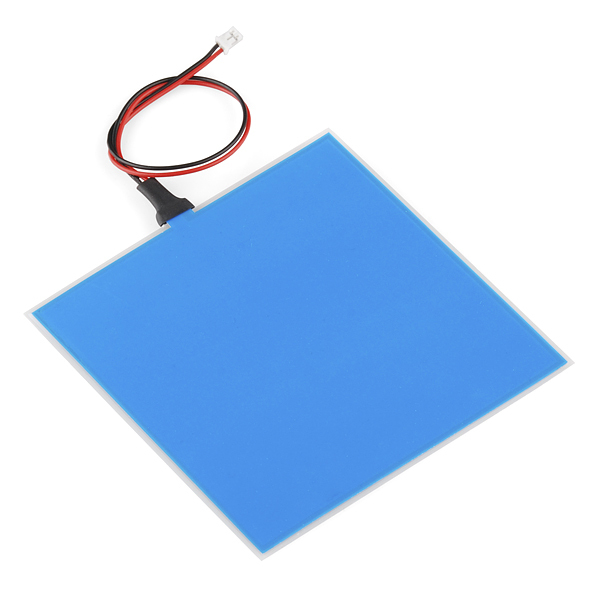 This EL panel is a flexible plastic sheet which contains a phosphor layer and lights up with a neon-like glow when the proper voltage is applied. It's a lot like the ever-popular EL wire except, well, it's a panel. 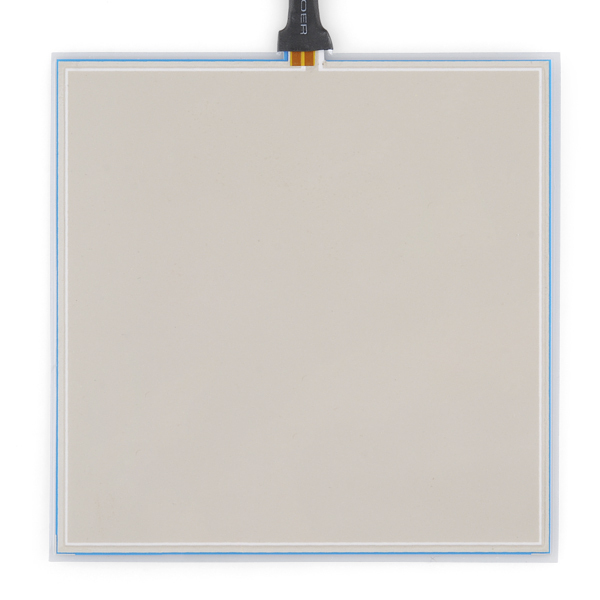 Panels are particularly well suited for backlighting LCDs as well as illuminated signage. These can be driven with any of the EL inverters and sequencers that we carry and come in a variety of bright colors (check below for other colors). 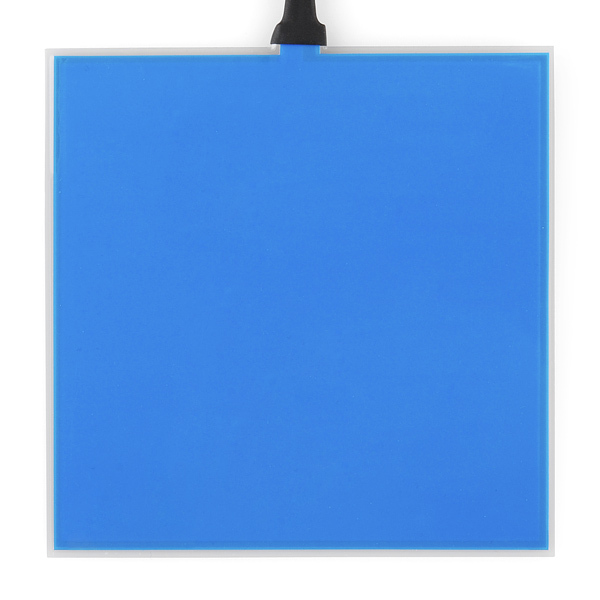 This particular panel is 10cm square and illuminates blue. 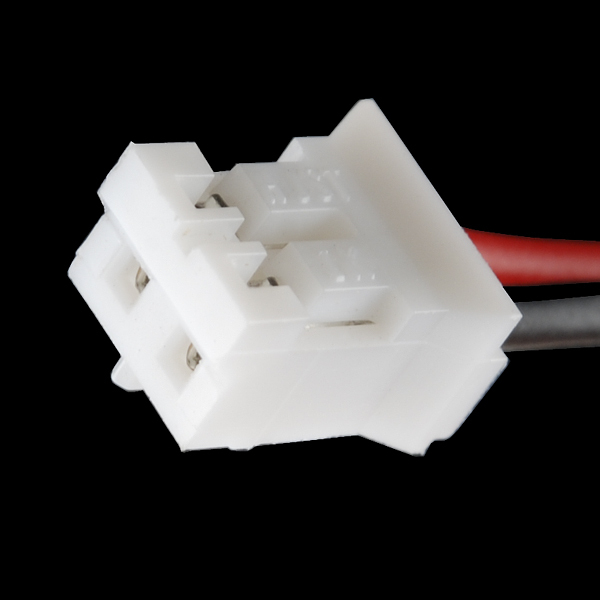 It is attached to a 20cm cable which is terminated with a JST PH connector. Note: These panels can be cut to any shape! Regular scissors work fine to cut this EL panel but after you've cut the panel you should seal the exposed edges with some tape or epoxy to avoid shorting the panel or shocking yourself. Add a cloth stencil over EL panels to create glowing logos and designs. There's a note in the EL Inverter - Battery Pack stating that it's fine for 1 panel - but if you want to power 2 or more, you'll want to look at one of the beefier inverters. I have an EL inverter/battery pack (COM-11222) and I see here that it recommends only plugging one EL panel at a time. My project involves cutting the panels down to a very small size, would that still cause issues with the inverter if I were to plug in two panels? I suspect that would be fine as each smaller panel would have a smaller current draw. Keep in mind the comments from JerZ and MikeGrusin, though - cutting a single panel up into multiple panels (rather than just a shape and keeping the two existing power leads on that shape) is apparently not so easy. Thank you for your reply. I do not intend to re-wire a cut piece, just plug two small pieces in to one battery pack. If these were to be cut into shapes, is there a way to power any of the scrap pieces? Good question! It may be possible, but I've never heard of it successfully done. The front and back plastic sheets have very thin conducting layers on the inside, and you'd need to make your own connection to it without shorting to the opposite side, etc. Has anyone out there gotten this to work? Can these be trimmed 'cause nearly 4" is way too big for me I need it to be allot smaller. Sorry for the late reply; these can indeed be trimmed. Tips: be sure your design preserves the existing electrical connection so you can power it. Make a clean cut so you don't short the top and bottom layers together. And be aware that you could receive a shock from the exposed edges (you might want to seal the cut edges with some clear tape). Have fun! Has anybody tried laser cutting these? Just what is the proper voltage? 110 V?